The British gentleman never died. Recently however he reemerged on a grand scale. The Dandy Gent in Derby helps him impress the ladies not only with fine clothes but also with a groomed beard. Founded by Shane O'Shaughnessy, who learned his trade from his grandfather, the barbershop concentrates on a traditional range of services. O'Shaughnessy and his wife create their own styling and grooming products for bearded gentlemen. Made of precious ingredients, with exciting fragrances and stylish packaging, products by The Dandy Gent are a valuable addition to any gentleman's bathroom - in England or in other parts of the world. 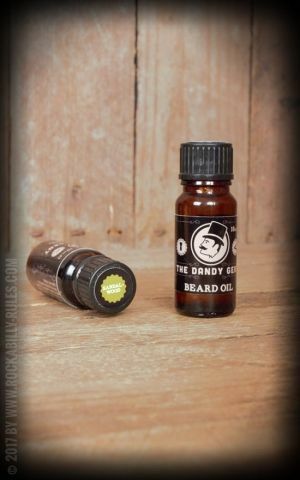 The Dandy Gent offers a broad range of products for beard care and styling. This starts with your daily shaving routine. Shaving soap, different after shaves, razors with disposable blades...you find everything here you need to shape your beard and prevent itching and skin irritation. Beard oils and beard shampoo make your beard shiny and soft. In addition to classics like Bay Rum after shave The Dandy Gent offers some surprises, for example scents like 'Rose & Tobacco'. The vintage-style bottles and tins are eyecatchers. Being a gentleman is something special after all. Check out the beard care and styling products by The Dandy Gent in our shop now!